The best thing we like is it looks like we back to home, we can cook by ourselves, it has almost everything we need to cook. 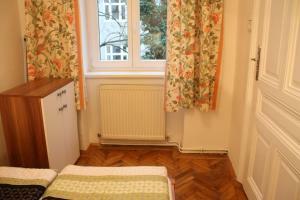 The location is good, near a shopping mall and a metro station. it is not fair to check in at 14.00 and check out at 10.00, and was no flexibility in this regard, my flight was 20.00pm at night and I had to leave the apartment at 10.00. 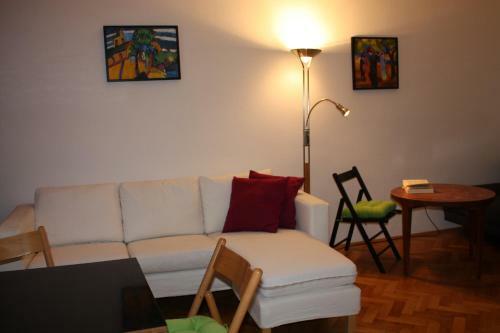 Good neighborhood close to metro station, bus stops and restaurants. quiet side street and easy access to public transport. The apartment is so big and well-equipped. You can find everything you need in it. They even provide netflix for leisure. Also, it is closed to supermarkets, restaurants and tram station. The neighborhood is quite and safe. In fact, it is the best apartment I have stayed in all the trip. Departamento amplio, cómodo y bien ubicado, a una cuadra del bus y tres del metro, e incluso se puede caminar hasta la Ringstrasse. Landstrasse es una hermosa zona con restaurantes y supermercados cercanos. La disposición de la habitación y el estar, separados por la cocina y el baño, da privacidad. Buena provisión de utensilios de cocina. Buen estado de limpieza en general. Es un edificio antiguo restaurado, con ascensor aunque hay que subir un par de tramos de escalera. Irina nos recibió puntualmente y con muy buena onda. Wifi perfecto. Excelente relación calidad -precio. La amplitud,y lo acogedor que era para el frío que hacía. 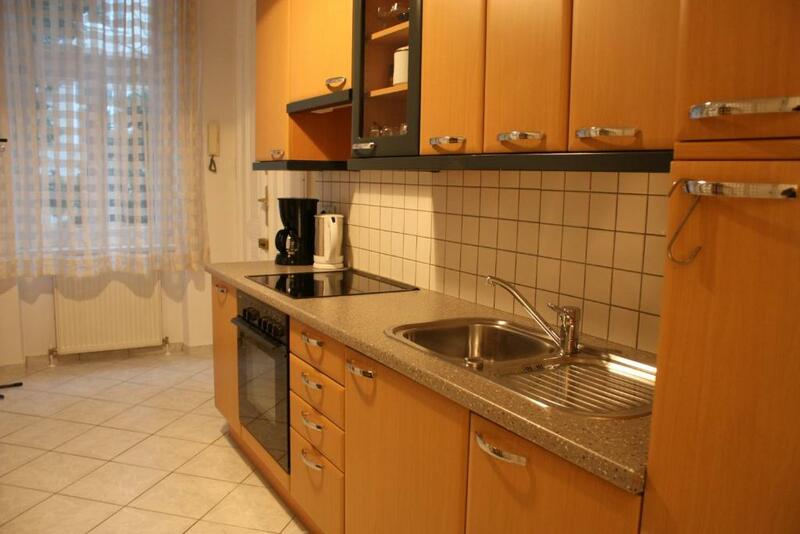 Appartamento ampio e luminoso. Ben attrezzato. Adatto a soggiorni brevi e permanenze più lunghe. 5 minuti a piedi dalla fermata della metro. Appartement spacieux, hauts plafonds de style Viennois, avec un véritable parquet ancien dans le salon : nous avons adoré l'ambiance qui s'y dégage. Un équipement de la cuisine complet, et même divers : livres, chaîne hi-fi avec opéras a disposition etc.. correspond tout à fait à la description. A 10-15min de la gare Wien Mitte a pied, mais possibilité de prendre un bus a proximité (200m). 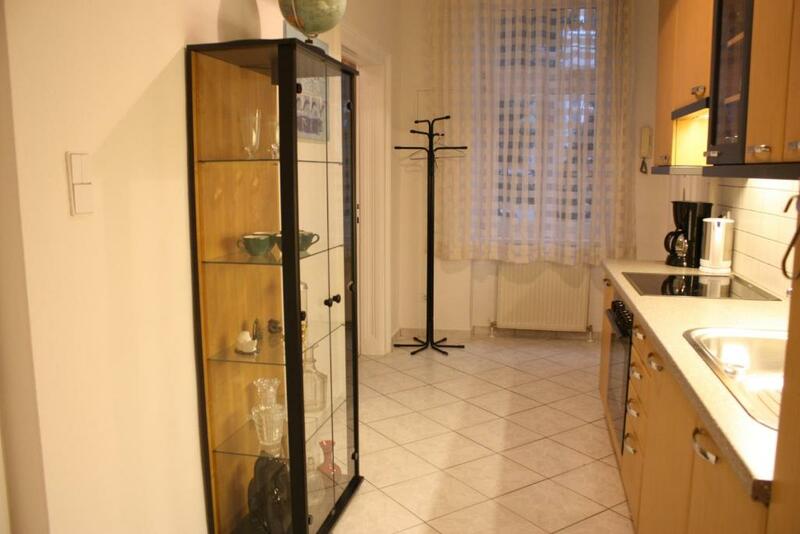 Nous recommandons vraiment cet appart' pour un court ou long séjour ! 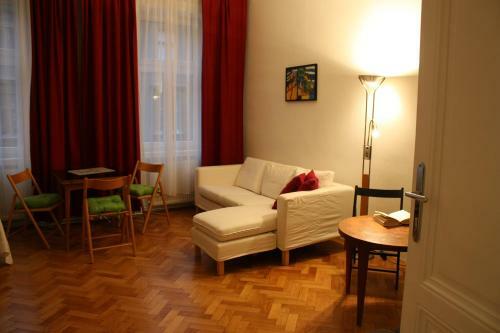 A 5-minute walk from the Rochusgasse stop of the U3 metro line offering direct connections to Vienna's St. Stephen's Cathedral, Homelike City Apartment features elegant parquet flooring, a fully equipped kitchen and free WiFi. A supermarket and various restaurants and cafés can be found in the immediate surroundings. The tranquil Arenbergpark is reachable on foot in 5 minutes from the Homelike Apartment. The City Airport Train Terminal is just 1 metro stop away. Airport shuttle services are available as well on request. 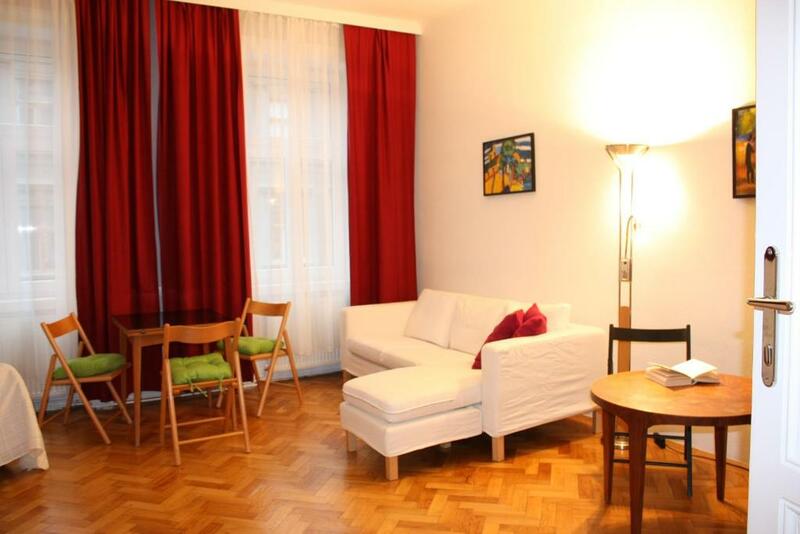 뀐 Located in the top-rated area in Vienna, this property has an excellent location score of 8.0! When would you like to stay at Homelike City Apartment? 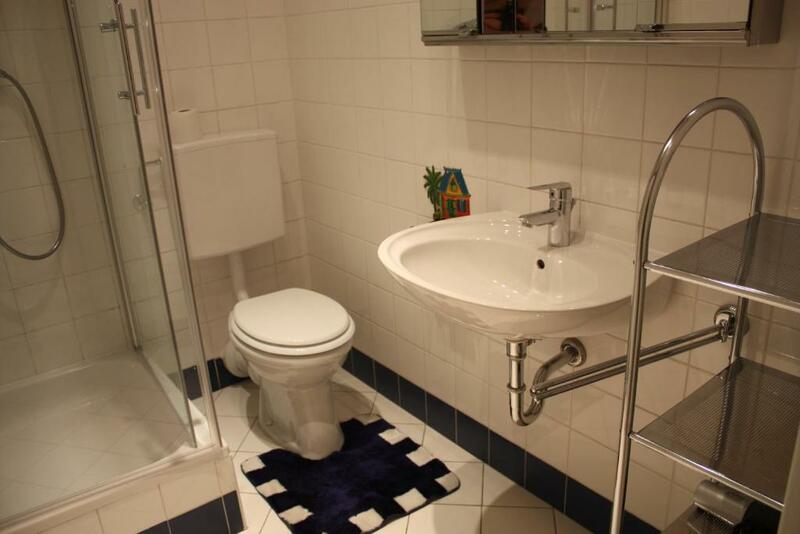 House Rules Homelike City Apartment takes special requests – add in the next step! Homelike City Apartment accepts these cards and reserves the right to temporarily hold an amount prior to arrival. Please inform Homelike City Apartment of your expected arrival time in advance. You can use the Special Requests box when booking, or contact the property directly using the contact details in your confirmation. Good neighborhood. Great host replies quickly. The position of the location in Vienna. Pillows were too flat. No shampoo and shower gel available. No microwave. Hidden cleaning fee of 40€. No bathroom mat. The pillows were too big and firm, it's hard to sleep on them. 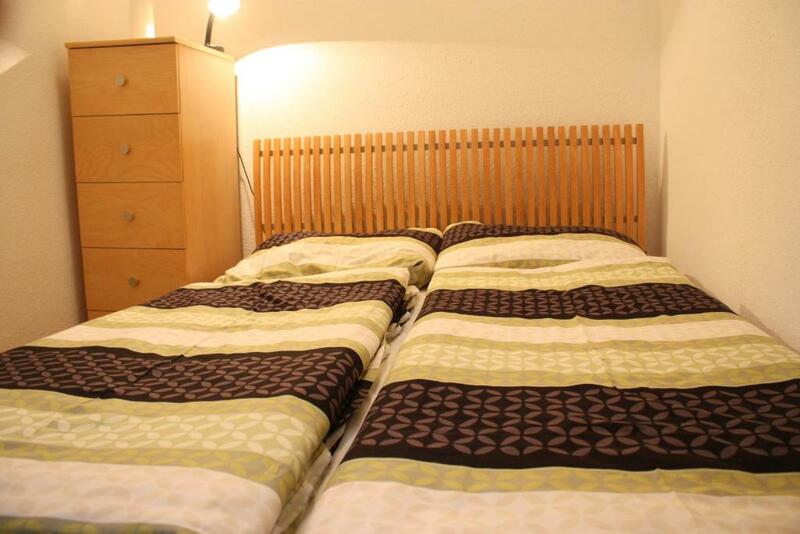 Nice area and close to supermarkets. someone from an apartment on the same floor that didn't belong to the hosts was heavily smoking in the corridor. The taxi diver took us around, a 3 km distance become 7 km..... We wait over 20 minutes to get the key Cleaning fee is extra, 20 EURO per day in cash, since it can cook, I understand why they charge it so high, but I hope they can add this cost into the price instead of pay on arrival. The stairs upto the lift carrying heavy suitcases, The fridge door would not stay closed. The rise and fall for the shower head was missing. The duvets and pillows were stained and grubby. The bathroom decoration is tired. Walls can be painted. Fridge door is damaged. Not enough hygiene stuffs.